While in Florida a few weeks ago, I picked A LOT of strawberries and decided to gild the lily by making strawberry shortcake. Although I once swore off the biscuit in favor of cake in this dish, having access to only my mother's condo kitchen (where the most used appliance is the telephone), I thought the traditional biscuit would be more easily accomplished. If there's an easier baked good, I haven't come across it. 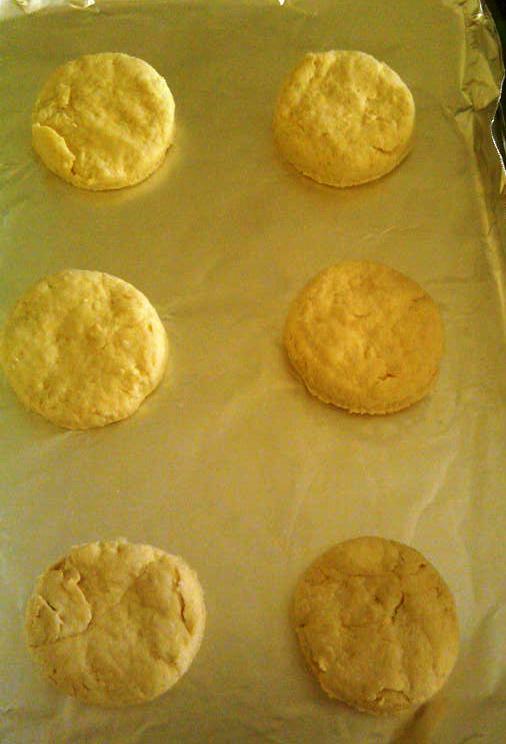 They require just a few basic ingredients and no special equipment. 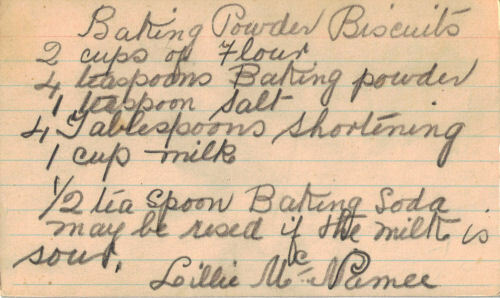 Of course, I didn't have access to my ginormous (and growing) collection of hand-written recipe cards, but thanks to the internet, I found a perfect specimen on RecipeCurio.com. 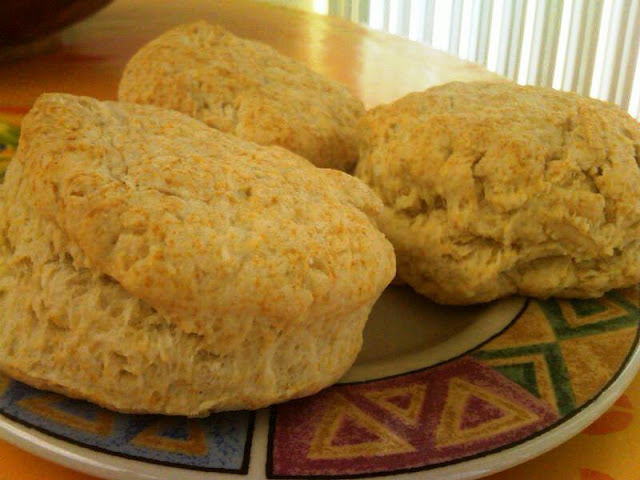 After a quick trip to the market to buy flour, butter, baking soda, milk and heavy cream (for the topping), I put these simple biscuits together in a matter of minutes. 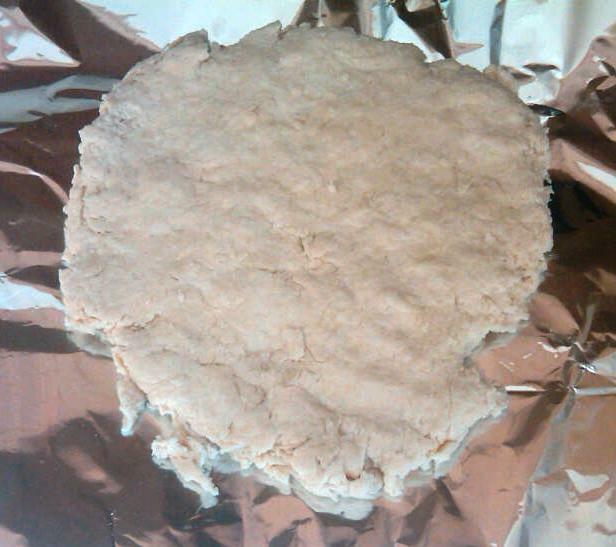 I mixed the ingredients and patted out the dough on a piece of aluminum foil. At home, I would have used parchment paper, but the foil worked just fine. I cut out the biscuits with a drinking glass and baked them on a foil-covered baking sheet. So where's the strawberry shortcake? Never got that far, for after dipping some of the strawberries in chocolate, and eating the rest out of hand, and then eating the warm biscuits hot from the oven, it wasn't meant to be. As for the heavy cream, I just enjoyed it in my coffee each morning. Thanks, Little Miss Cupcakes! Thanks for following, and I'll be sure to check out your blog.